Is the Blue Bombers latest romp an enjoyable experience or is it a shadow of the series former glory well let's find out! As most of you already know the story in Megaman games are effective yet minimal and Megaman 10 is no exception. A virus called roboenza is causing robots to become ill and eventually turn violent and Megaman must team up with Protoman, and dr. Wily to find a cure before it's too late! 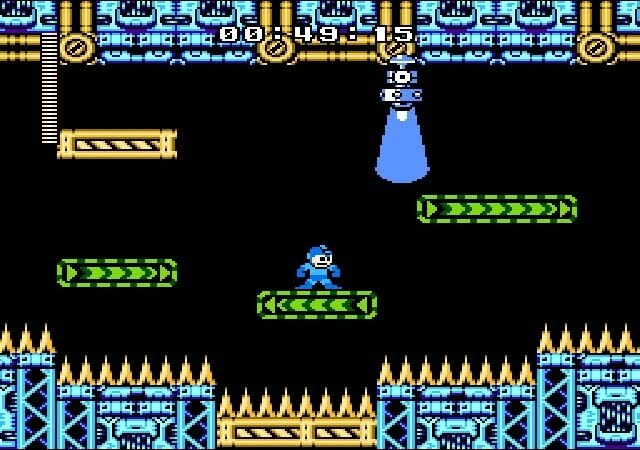 The gameplay is the real thrill of Megaman games and this game is no exception. You must shoot your way through 8 initial action platforming levels with a robot master at the end of each level that is much harder to beat than the normal enemies. Once you beat a boss you obtain their power through a new weapon! After you complete the first 8 stages you move on to a certain scientists fortress which is a collection of several challenging levels with a certain scientist as a final boss! One thing to remember is the difficulty changes drastically between the beginner friendly easy mode,the challenging normal mode,and the maddening unlockable hard mode with more enemies and bosses that are stronger and use new attacks! One last feature worth mentioning is the shop that you can access between levels using the screws you collect to buy energy packs,weapon packs,extra lives, or even a one time rescue from falling in a hole or on spikes! The graphics are classic NES Megaman goodness with vibrant levels,detailed character sprites,and impressive 8-bit character animations! The few cut-scenes in the game are nice and add a 16-bit era feel to the otherwise 8-bit game! The music in Megaman 10 are mainly remixes of classic 8-bit Megaman tunes and are still some of the best 8-bit music you'll ever hear! 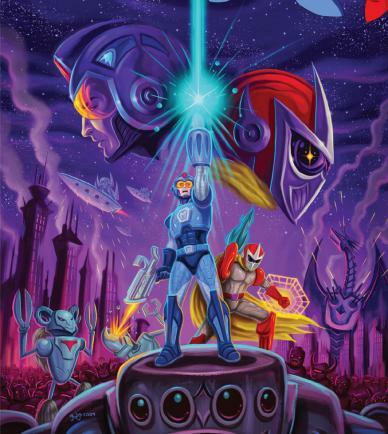 Bottom Line-With a good story,unparalleled gameplay,gorgeous 8-bit graphics,and classic tunes that will bring you the feeling of nostalgia Megaman 10 is perhaps the finest game in the entire canon series and is a steal at 1000 points and the three downloadable stages are definitely worth the 100 points they cost! Great review, but where are the screenshots? This is an example of a WiiWare game that was done right! The gameplay is wonderful and so is this review. This is a great old school platformer I definitely recommend this game if you don't already have this! Well, I have every classic megaman game in my collection, so why not this one ? I hope I'll soon pick it up ! And good review Rukiafan ! I'm fairly sure that fans would shell out $15 if Megaman X9 was ever released. That's something Capcom should really consider doing. I do need to download this game someday. I have only been a megaman fan for about a mere year. I like the reveiw though. It's very intriging to me. This is a good review admin. I purchased Megaman 10 recently and I have no regrets. Very good job on this review Rukiafan. Megaman will always be Capcom's greatest series and it would be stupid if they don't work some sort of deal out with Inafuné. The Blue Bomber has never disappointed me EVER! A very respectable review Rukiafan. Eureka wrote: A very respectable review Rukiafan. Yes a very good review! A 10 seems way too high. I would give this an 8. I never thought the day Megaman would die would ever come. At least Megaman went out with a strong final game. I think Megaman 10 is every bit as good as you said in your review Rukiafan! This is a really good review Ruki. Megaman 10 was a good purchase at 1000 points a definite must buy. The 10/10 is rightfully earned. i dont think ive ever completed a non-battlenetwork series Megaman game. This is my favorite 8-bit Megaman game.